Rear-end accidents are very common. The National Highway Traffic Safety Administration (NHTSA) reports that around 28% of accidents are rear end collisions. Having an understanding of how West Virginia law works can help you go through the process. There is a lot involved if someone rear ends you (or if you rear end someone else), which is why it is advisable to have an attorney to represent you. This primer will give you some insight into the law and other aspects of a rear end collision case. Rear-end collisions do not have to happen at high speed for the driver and passengers to be injured. These types of accidents can be dangerous at all speeds because the force that hits the vehicle from behind can cause the vehicle’s occupants’ heads to bounce back and forth, putting them at risk for a traumatic brain injury. If you suffered a concussion or other injury from a rear-end accident, speak with an attorney today. The lawyers at Johnstone & Gabhart, LLP, have more than 50 years of combined experience, including experience with rear-end collision accidents. We are ready to protect your right to recover compensation for your losses such as property damage, medical bills, lost wages and benefits, and pain and suffering. To schedule an initial consultation with our WV car accident attorneys, please call 877-416-5457, or you can email the firm. What Circumstances Can Cause Rear-End Accidents? Negligence is often the culprit in rear-end accident cases. While brakes can fail, that isn’t nearly as likely to happen as a driver getting distracted. Distracted driving is a major cause of accidents, especially rear-end collisions. Texting and cell phone use while driving are often the first things that come to mind regarding distracted driving, but even changing the radio station or eating while behind the wheel qualifies as distracted driving. In four seconds a car driving at normal highway speed travels about the length of a football field – that’s about how long it takes to look at a text. Slippery roads are another common cause of rear end crashes. When a car is traveling too fast on wet or icy roads and does not allow adequate time to come to a stop, it is a recipe for disaster. What Types of Injuries Can Be Sustained? There are a number of injuries that can occur as a result of a rear-end collision. One of the most common is whiplash which is where the head to snaps forward, then back – usually quite violently. As a result the neck may be sore or even immobile. Whiplash may also cause headaches. If a rear-end collision results in a chain reaction crash, , the potential for serious injuries increases greatly. When a car spins after being rear-ended, the centrifugal force can cause internal injuries, such as a ruptured spleen. This occurs when the at-fault car rear-ends another vehicle and it is forced into the rear of a third which if the front of the car is seriously damaged, it can cause injuries to the legs, ankles, knees, and hips. Most of the time, the car that rear-ends another is at fault and therefore is liable for damages to those in the rear-ended vehicle. But there are situations where the front vehicle can be at fault or both parties can share fault. When it comes to negligence, the law in West Virginia adheres to a modified comparative fault system. Each party can be assigned a certain degree of fault. If a court or jury determines that you are 20% responsible, then your damages will be reduced by 20%, your share of fault. West Virginia also has a 50% bar rule that is used for liability. If you get in an accident and are 50% or more at fault, you are barred from recovering damages. You must be 49% at fault or less in order to receive damages. What Are Some Ways to Avoid a Rear-End Collision? It may seem difficult to avoid a rear end collision, but there are some things that you can do. Keep your eyes on the road – always. It is important to be aware of your surroundings. Don’t follow too closely – When traveling behind someone. If you can’t see the rear tires touching the road, then you are following too closely. Try to keep three seconds behind the other cars. Check and recheck your mirrors – When you are driving, you should be constantly checking your mirrors, both the rearview and the side mirrors. It is particularly important to do this when you are stopped, driving slowly, or slowing to a stop. This way, you can see if someone is following too closely or traveling too fast. Give yourself plenty of time to approach a stop sign or traffic light. Start slowing down well before you reach the intersection. You want to avoid the quick stop, mainly because any cars traveling behind you may not see you stop or they may not even be looking. As you approach an intersection, check out your surroundings to see if there is ample shoulder room or even a sidewalk. If another car is approaching too fast and you fear they may hit your car, you will have a place to avoid being hit. 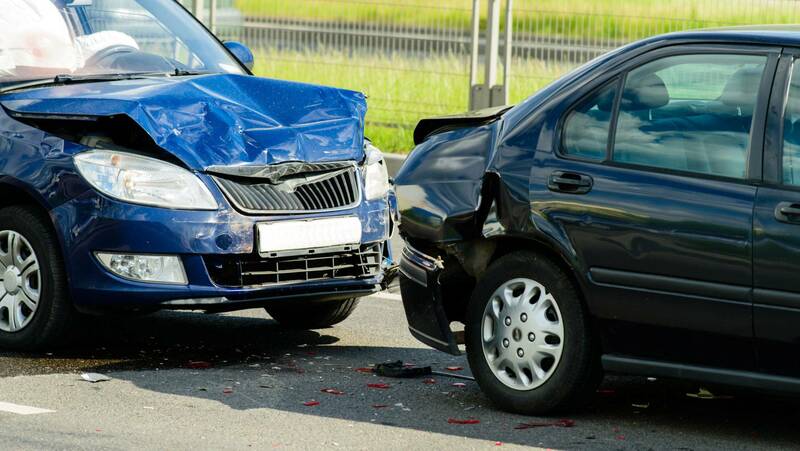 We will investigate your accident to determine the cause and the liable parties. Our lawyers seek compensation from all liable parties to increase the amount of compensation you recover. You can discuss your case with us today. For a free consultation, please call our office in Charleston at 877-416-5457.